Inspiration and new impressions are important for a photographers work. When Megan Alter went to visit New York last November she got a lot of both. It-girls are trading their high heels for comfy sneakers and wearing a sports bra instead of a shirt seems totally normal. Workout clothes aren’t just for the gym anymore, they are part of the street style in every fashion metropolis. Athleisure is one of the new fashion trends and everyone is loving it. So when the opportunity for the “Athleisure feat. Adidas” photoshoot came up, Megan just couldn’t resist to get the hot trend in front of her camera lens. The sporty photoshoot took place in a laundromat in Amsterdam called Bubble Stitch. 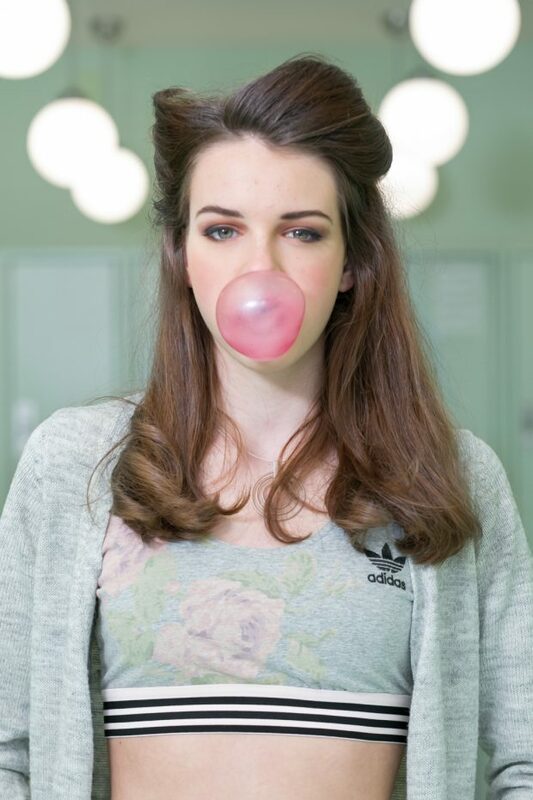 The pastel colored locker room was the perfect location for this sporty fashion shoot. Our model Yara, from Helena Model Management, blends in perfectly with the light turquoise lockers in her matching active wear. Color is an important factor that relates to emotions and helps to give the image the impression you want to convey. By choosing the clothes in the same color as the lockers of the laundromat the images seem calm and soothing. The pastel tone of the turquoise is giving the image the clean and soft look we were aiming for. For the shoot day we chose a mix of natural and studio light. To get the soft lighting that makes the colors blend we used a canon studio light inside a rapid box diffuser and reflected it off the ceiling.